Lidar stands for light detection and ranging, and is used in place of or in addition to cameras, radar and ultrasonic sensors. 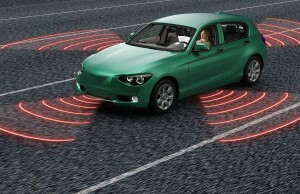 The article “Sensors Map the Path to Fully Autonomous Vehicles” describes how these sensor technologies provide the best possible reliability for daytime and nighttime driving. The opportunities in this market seem boundless. The global automotive lidar market is expected to grow at a CAGR of 29.6% over the next ten years, according to a recent report by ResearchandMarkets. The market is driven by the rise in autonomous vehicles and Advanced Driver Assist Systems (ADAS), especially in light of the increase in safety incidents with driverless vehicles. Well-known companies, such as Jenoptik, are supplying a range of optical elements that go into advanced lidar systems. Hamamatsu is supplying a four-channel pulsed laser diode, which can be used at the light source for in-vehicle lidar modules, allowing for more accurate measurement of objects at far distances. Laser Components, a supplier of laser and optoelectronic components, is working with the Fraunhofer Institute for Microelectronic Circuits and Systems IMS, to collaborate on lidar development. Excelitas is providing a surface mount device pulsed laser diode array as a key building block of next-generation lidar systems. Coatings companies, such as AccuCoat, are addressing the unique optical coating needs in lidar systems. See the article “Lidar Coatings Take Many Forms.” And the list goes on, as the technology expands and market grows. The Autonomous Intelligent Driving (AID) group is collaborating with Luminar as a partner in helping it realize its vision of deploying autonomous vehicles in urban environments by 2021. AID is testing its fleet on roads in Munich, using Luminar sensors that provide forward-facing and long-range perception. AID uses proprietary software and deep learning to process sensing modalities such as lidar point clouds, camera pixels and radar echoes. Postmates is a company that is demonstrating lidar technology in its product called Serve, which is a self-driving rover that is a small, autonomous vehicle designed for short-distance deliveries. The autonomous robots use Velodyne’s compact lidar VLP-16 Puck sensor, which is built into the top of the rover for a surround view that detects people and objects in its delivery path. AEye, the developer of iDAR, a perception system for self-driving cars, recently announced a breakthrough in long range threat detection and safety when iDAR detected and tracked a truck at 1000 meters. According to AEye, this is four to five times the distance current lidar systems are able to detect. The test was conducted on the runway of an airport in California, where a 20-foot moving truck was tracked and scanned down the length of the 914-meter runway, and when the AEye sensor vehicle was taken off the runway, it continued to track the truck at over 1000 meters. Widescale adoption of autonomous vehicles has a way to go beyond automated delivery services, but in the meantime, a lot of useful technology is being developed. We look forward to the great opportunities in and benefits from continued advances in machine learning, 3D sensing, night vision systems, deep neural networks, robotics, lidar and more.